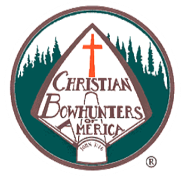 With your paid CBA membership you are supporting the ministry of Christian Bowhunters of America. You will also receive the Christian Bowhunter magazine (4 Issues per year), CBA membership card, stickers and a copy of each of the tracts. Lifetime Membership applicants, along with the above mentioned items, will receive a special Lifetime Member pin, CBA burgee, small CBA patch and Lifetime Member certificate suitable for framing. I have received Jesus as Savior of my life (1 John 1:9) and hereby wish to make this public expression. I agree with the CBA Statement of Faith (found here) and will uphold Biblical policies and Christian practices to the glory of God. I will uphold the Laws of the Land and follow Christian ethics in all my hunting. I agree with the CBA Membership Covenant listed above. If you would rather not complete your application online, feel free to print and mail the application by CLICKING HERE.